Hubbard House Loves Its Volunteers! This week is National Volunteer Appreciation Week and the Hubbard House staff wants all of our wonderful volunteers to know how much we appreciate all that each does for the organization! In 1976, a group of women purchased a house on Hubbard Street and became the first emergency shelter in Florida for victims of domestic violence and their children. This establishment was named Hubbard House. Since then, our organization has grown exponentially, all thanks to our devoted and unwavering volunteers. Hubbard House thrives thanks to the more than 1,000 volunteers that serve in all Hubbard House programs. Our volunteers not only give their time and energy, but they provide ideas, increase our visibility in the community and help us in supporting our ultimate goal of Every Relationship Violence-Free. 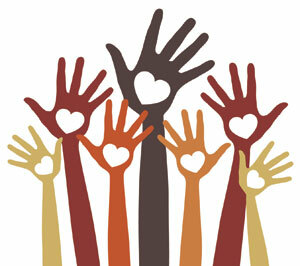 The most important skill required of our volunteers is the capacity to care and the willingness to help those in need. Interested in volunteering with us? There are many volunteer opportunities for groups and individuals. For more information, visit http://hubbardhouse.org/help/volunteering/. Every volunteer’s effort is appreciated no matter how small.